Las Vegas desert tours provide the chance to see the American Southwest in its most beautiful and primitive state such as sandstone formations, wild horses, big horn sheep, rabbits, bald eagles, and endless variety of wild flowers, trees and cactus. Each desert tour takes a number of stops at unique spots. These tours transportation can be helicopters, buses, and even horses. Almost all of them provide professional guides who are trained in archaeology, geology, and anthropology. These guides help the tourists to have the desert wilderness experience by exploring the desert in the best possible way. Some of the most popular tours among Vegas visitors are Death Valley, Red Rock Canyon and Mojave Desert. Here is a brief about these deserts and below some of the most exciting desert tours. Death Valley is located 2 hours outside of Las Vegas, on the border of California and Nevada. It is known for its extreme weather. The Furnace Creek Area is one of the highlights of Death Valley National Park; features the Golden Canyon, the Natural Bridge, a massive rock formation spanning across a desert canyon, and the infamous Bad Water, a series of salt flats making up the lowest point in North America. Filled with craters, canyons, mountains and desert, Death Valley is . With activities like hiking, biking, camping, or bird watching, you can reconnect with nature like you never have before. Other highlights include the Stovepipe Wells Area, filled with sand dunes and canyons, Scotty's Castle Area, featuring an elaborate Spanish-style mansion of a local prospector, and the Panamint Spring Area, made up of Darwin Falls and the famous Joshua trees. Red Rock Canyon was designated as Nevada's first National Conservation Area. 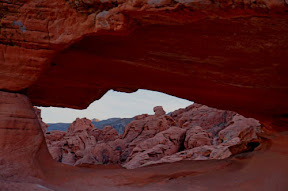 Red Rock Canyon is located 17 miles west of the Las Vegas Strip on Charleston Boulevard/State Route 159 and it is home to the Red Rock Escarpment, a 3,000 foot-high mass of multicolored pinnacles and boulders jutting from the canyon floor. It's also home to more than 45 species of mammals, about 100 species of birds, 30 reptiles and amphibians, bighorn sheep, coyotes, feral horses, burros and an abundance of plant life. The Mojave Desert represents a rain shadow, sheltered from prevailing rain-bearing winds by California mountains. Mojave Desert is part of a smaller portions of southern Nevada, central California, and northwester Arizona. The Mojave Desert gives splendid views of the Tehachapi, the San Gabriel and San Bernardino mountain ranges. Round Trip transportation. Hot organic gourmet lunch / Vegetarian options available. All associated fees and expenses and experienced guide.